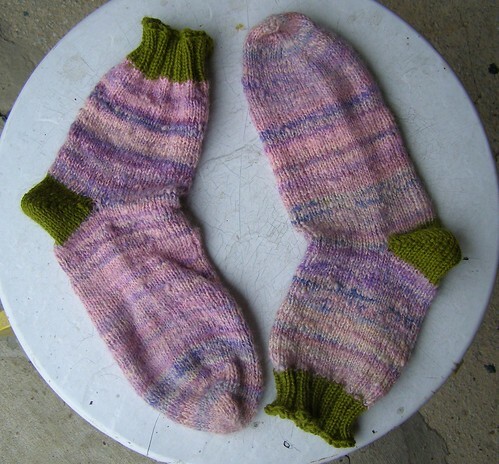 speaking of things i’ve never knit and should… handspun socks? i didn’t have a pair until last week. and boy are they fun! made from this yarn – local bfl farm wool – on size 4 needles. it sat around too long and eventually got knit. wheee! they make me happy. 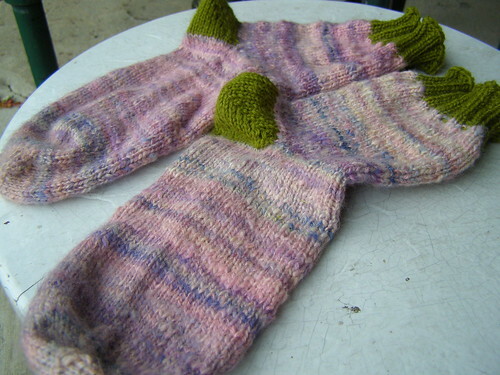 This entry was posted in cosyknitsliterally, cosyspins, handspun, knitting, socks, spinning by cosymakes. Bookmark the permalink. they look deliciously cozy and Cosy! what a great use for the precious handspun. 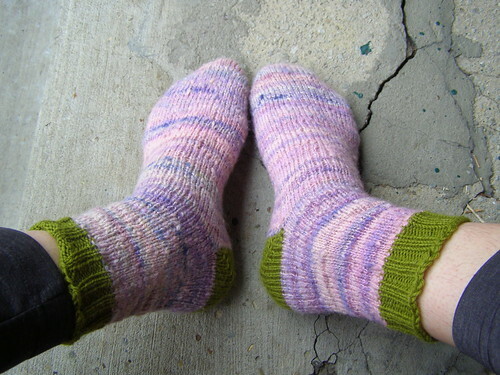 I am dying to learn how to spin – a pair of homespun socks are the first thing I’ll be making when I do! do it! both are great fun. Socks are a path to the darkside. I should know and I’m not going to cross back over. :) I haven’t knit any out of handspun but it is on my list. They look nice and comfy and that green look great with all the pink and purple. 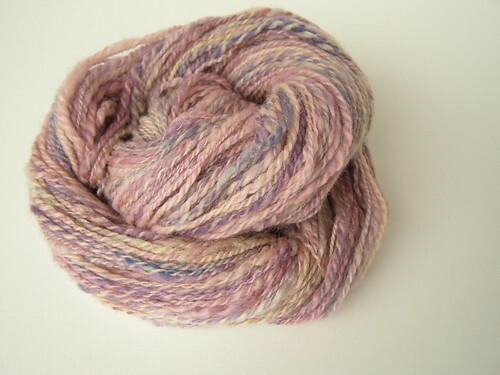 I love the look of handspun. Those look so fluffy. I am working on my first handspun on a spindle and I can’t wait to set it and knit it. oooh. now that is exciting.